Britwold was a monk at Glastonbury Abbey before being made Bishop of Ramsbury & Sonning in 1005. There are no records of his administration, although he presided over the See for forty years and witnessed all but one of King Canute's charters. He was evidently very well regarded by that monarch despite a vision, which William of Malmesbury relates Britwold had at Glastonbury, in which the succession to the Throne of King Aethelred the Unready's son, Edward (the Confessor), was revealed to him. 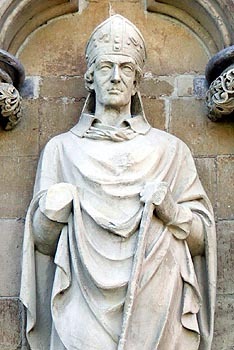 He was buried at Glastonbury, to which abbey, as also to that of Malmesbury, he had been a very liberal benefactor.